Amenia bed and breakfast travel guide for romantic, historic and adventure b&b's. 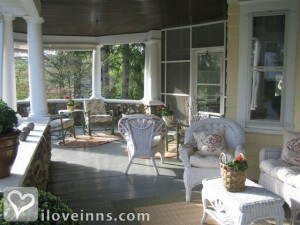 Browse through the iLoveInns.com database of Amenia, New York bed and breakfasts and country inns to find detailed listings that include room rates, special deals and area activities. You can click on the 'check rates and availability' button to contact the innkeeper. Located amongst a bevy of beautiful horse farms and breathtaking scenery. Schedule a private wine tasting at one of the local wineries. Shop at one of our local farmer's markets or ride or walk the 15 mile paved rail trail. By Hilltop House.